Choosing the right heating system for your home can be a daunting process. There are a lot of factors to consider such as type, efficiency, upgrades and price. We have extensive knowledge of heating systems and can easily help you figure it out. Ask for a free in-home estimate and recommendation for your project today. We offer complete design and build services for boiler and furnace systems. 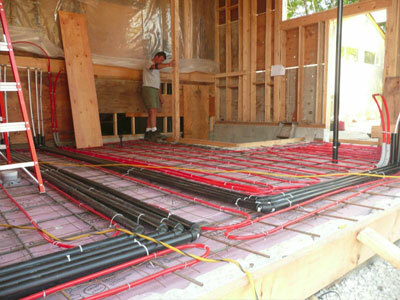 Whether it is radiant in-floor heating or forced air furnaces, we are able to design the most efficient system for your home heating application. Our in-house built boilers systems are built right in our shop allowing for total quality control and less disruption to your home. The systems are fully assembled and tested here before being reassembled in your home to ensure the highest quality control. The technicians at R&B are heating specialists. Call us; you’ll be glad you did.